Shannon McCool is one of our hardworking and dedicated managers. He embraces the spirit of “no job too big, no job too small.” This spirit has led him to grow in ways he never expected since starting employment at Gila Rut Salons back in 2001. He marches to the beat of his own drum—full of energy, sass and wit. Underneath all that energy, he has the biggest heart you could fit in a body; he is gentle and caring. He shares his love for life, always coming from a place of love and compassion for fellow humans as well as animals, especially cats…meow! A longtime friend who was a lead colorist there told me about an opening for part-time front desk. I worked in a variety of industries before landing in the salon world, from fast food to grocery stores to hotels. What was your defining moment that brought you to be a manager? The need presented itself, and I had already been assuming responsibilities, along with another employee, so the progression was natural. Aside from making friends and developing relationships as close as family, I have moved forward in a field I never thought I would be part of. I’ve been able to support myself living in California for almost 20 years. It is also a privilege to work for a company that stands behind you and recognizes your efforts. I have also met some amazing individuals and leading people in the salon world such as William Edge, Jacob Glass, Luca Boccia, Scott J, Shiv Nath, Geno Stampora, Lupe Voss, Sue Trondson, and many more. My hobbies outside of work include music, cats, various collections, and running to name a few. I love trying new things, so every day it’s slightly different in some way. What’s your biggest claim to fame/biggest achievement? I donated to a female couple that had an amazing child who is now 23 years old and stationed in Germany with the US Army. Do you have photos to share of your personal style evolution (before Gila Rut/Now)? Maybe…but only if they won’t be used as blackmail. Lol. 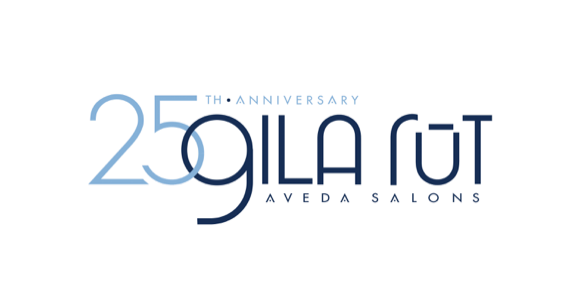 How does it make you feel celebrating 25 years with Gila Rut? I’m so proud of everything we’ve accomplished at Gila Rut, and still in disbelief it’s been this long!